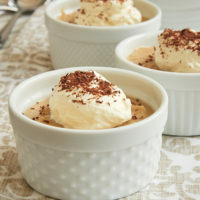 This recipe was created in partnership with Driscoll’s. Blueberries and cream cheese are one of my favorite flavor combinations. Those two just play together so well that I try to pair them as much as possible in recipes like cheesecakes, crisps, and cakes. I had somehow never used that dynamic duo in a pie, but I have now remedied that in a big way with these little pies. 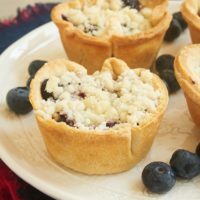 They’re filled with a fairly traditional blueberry pie filling, but they have a little cream cheese twist with a layer of sweetened cream cheese in the bottom of each pie. The cream cheese filling is a little ode to one of my all-time favorite mini pies. I love that sweet cream cheese surprise inside! It’s such a wonderful, rich twist to blueberry pie. One of the things I love about baking with blueberries is that there’s no chopping, coring, peeling, or other prep work before you can get baking. Just give them a good rinse, let them dry, and you’re ready to go. Without that extra prep, this pie filling is ready to go into the pie crusts in short order. I really like the addition of vanilla to these pies. It just works so well with the cream cheese filling. For something a bit different, substitute almond extract. Or omit the extract altogether, and add the zest and juice of a lemon for a citrus bite. 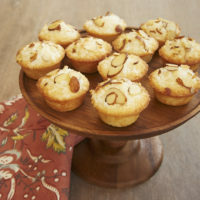 These little pies are a great choice for entertaining. Your guests can just grab a pie without worrying about slicing and serving. Plus, mini desserts are just so adorable, aren’t they? And if you’re a crust fan, these little guys will give you a higher crust to filling ratio. 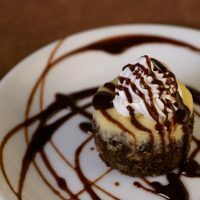 With that amazing filling, their individual size, and that sweet crumb topping, these are sure to please! 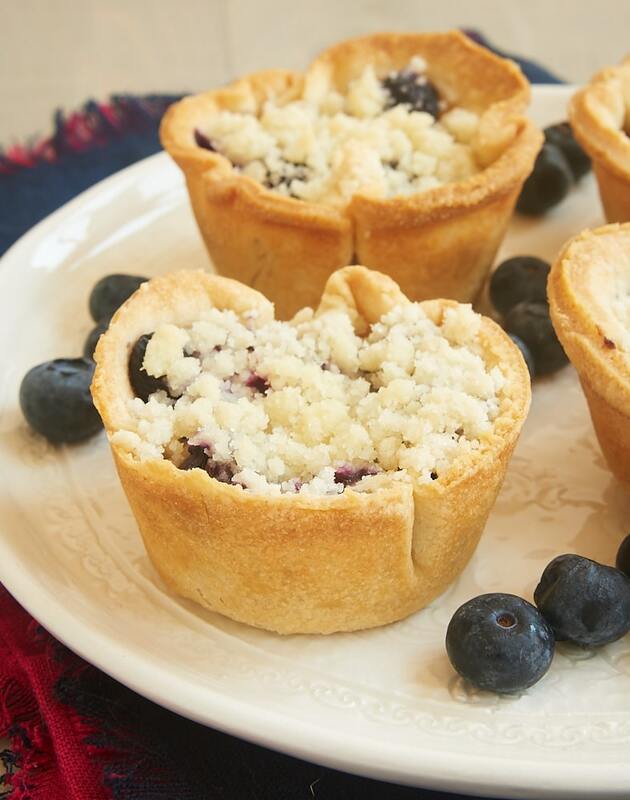 Skip the slicing and serving with Mini Blueberry Cream Cheese Pies. Love that cream cheese surprise inside! Preheat oven to 350°F. Grease a 12-cup standard-size muffin tin. Fit the circles into the bottom and up the sides of each muffin cup. Place the pan in the refrigerator. Combine the flour, sugar, and salt in a small bowl. 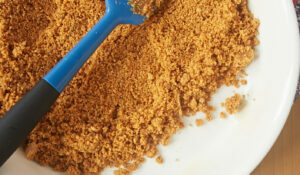 Add the butter, and mix with a pastry blender, a fork, or your fingers until the mixture forms crumbs. Refrigerate while you make the fillings. Using an electric mixer on medium speed, beat the cream cheese and sugar until thoroughly combined and smooth. Divide the mixture evenly among the 12 pie crusts (roughly a rounded teaspoon in each), and spread evenly in the bottom. Return the pan to the refrigerator. Combine the blueberries, water, sugar, and cornstarch in a medium saucepan. Bring to a boil, stirring frequently. Continue cooking for 2 or 3 minutes, or until the mixture has thickened. 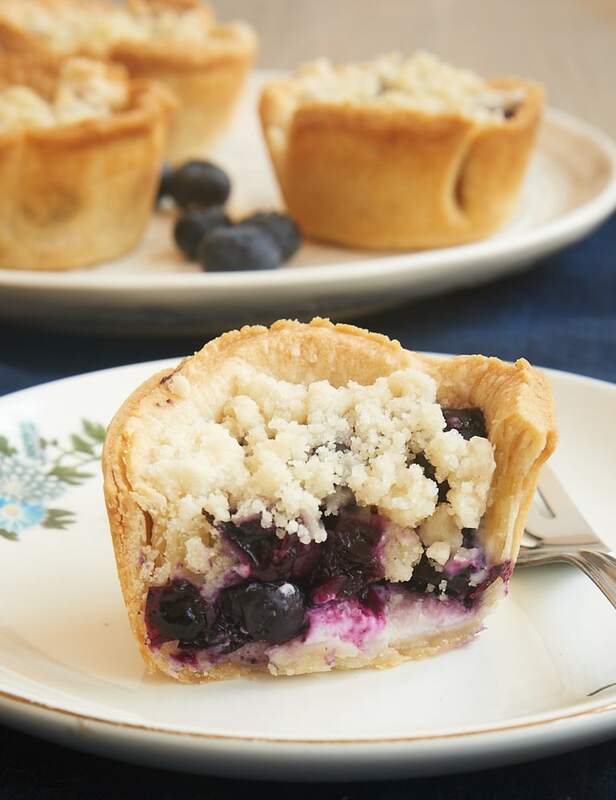 Divide the blueberry mixture evenly among the pie crusts, filling each almost to the top. Sprinkle the crumb mixture over the tops of the pies. Bake for 25 to 30 minutes, or until the crusts are golden brown. 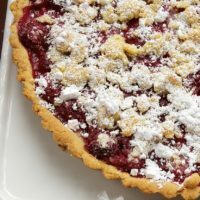 *Use a double recipe of my go-to pie crust or your favorite pie crust. I recommend dividing the dough in half before refrigerating to make rolling the dough more manageable. **The crust should reach the top of the pan or stick up above the pan just a smidge. Muffin pans can vary a bit, so you may want to make sure the first circle fits before cutting out all of them. I used the largest cutter in this cutter set, and used a knife to cut around the outside of the top for a 4-inch circle to fit my Wilton muffin pan. This post is sponsored by Driscoll’s. All opinions written are my own. This post contains affiliate links. Great recipe as always and perfect for me as I have an orchard with just about every sort of currant or berry one can imagine. At least where I live, the berry harvest season has been and gone. I do have a freezer full of bags of berries though. I assume that this recipe would work just as well with frozen berries? Hi, Lincoln. Frozen berries should be fine. 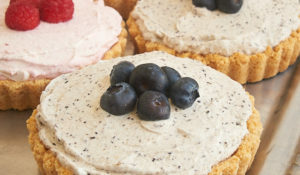 The combination Blueberry & Cream in a Pies looking really awesome. 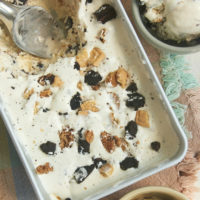 I think this recipe will be best for the sweet lover like me. 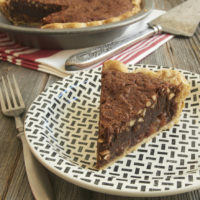 Moreover, I think an addition of some chocolate may increase the taste of Pies . 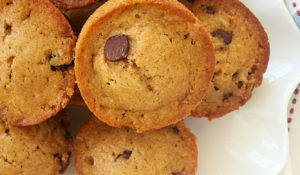 I’d like to make these in mini-muffin pan…. any suggestions? How are these the next day? Thanks, Ary! 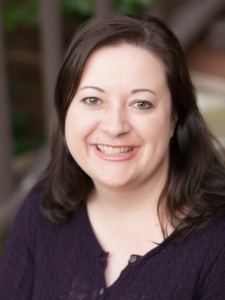 You shouldn’t have to make many adjustments, other than the obvious ones like the size of your pie crusts. They’ll need to be somewhere around 2 & 1/2 inches in diameter, but be sure to check that with your pan to make sure the crusts will stick up from the pan just slightly. I’d also suggest that you not use large blueberries in the filling so that the filling will fit better in the smaller cups. Baking time will likely be a bit shorter, too. I’d check for doneness after 20 minutes. These look delicious! What a great way to use all those blueberries!! 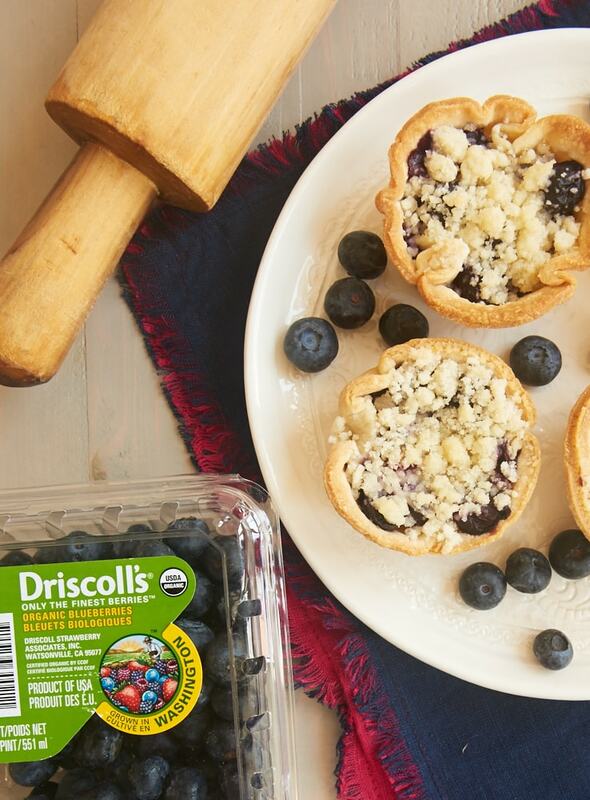 I’m a sucker for mini anything — but mini blueberry pies AND cream cheese? I’ll take a whole plateful! These look delicious!! Pinned your recipe to try. I only use Driscoll berries. I refuse to buy another brand if my stores do not have them in stock. I love the idea of mini pies! I bake a lot of different pies but definitely going to try these, they look amazing and super convenient!